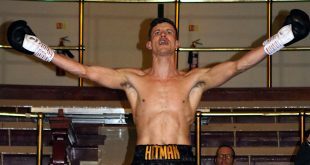 At the Kings Hall, Stoke, on Friday night, Rob Hunt of Stafford won the British Welterweight Challenge Belt with a points’ victory (78-76) over home fighter Ryan ‘Stewart’ Davies of Tividale. 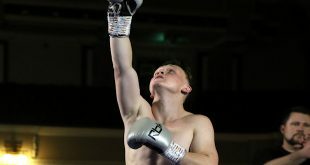 The eight round contest was action-packed and saw Davies sustain a cut to the left brow in the last round. Errol Johnson of BCB Promotions hosted the dinner show which featured four contests in total. 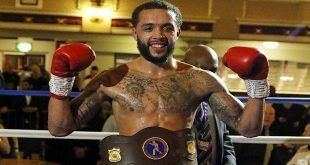 CJ Challenger of Leicester scored a points’ win (60-55) over Bulgarian - Teodor Boyadjiev, in a six round Super-Welterweight contest. 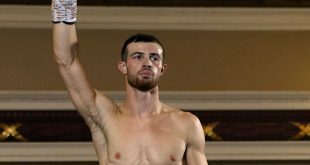 And popular Nathan Heaney of Stoke-on-Trent won a shut-out 40-36 points’ victory over Polish-born Patryk Buczek of Nottingham at Middleweight.